Functions, form and color of the user interface can be adapted according to individual preferences. Important layout and navigation elements are defined in the underlying document database. 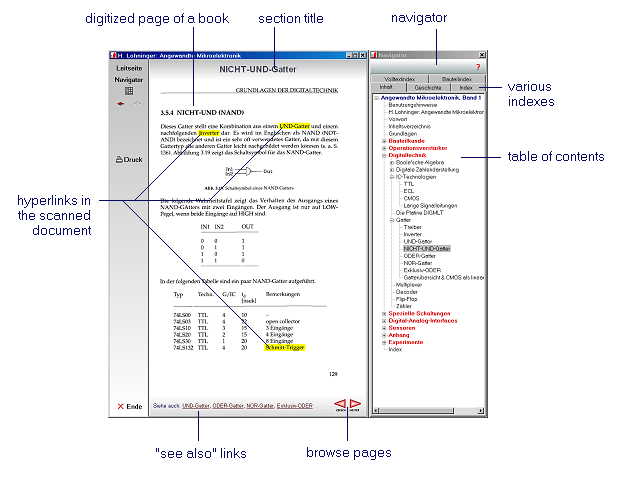 The following illustration shows the parallel use of the Navigator and the book viewer. Please click on the picture for a full-sized view.